I hope you all are having a wonderful day full of merriment and all things green! Two years ago today, we announced Baby K's name to the world (or the few that cared... 'cause I'm sure there was at least a few)! 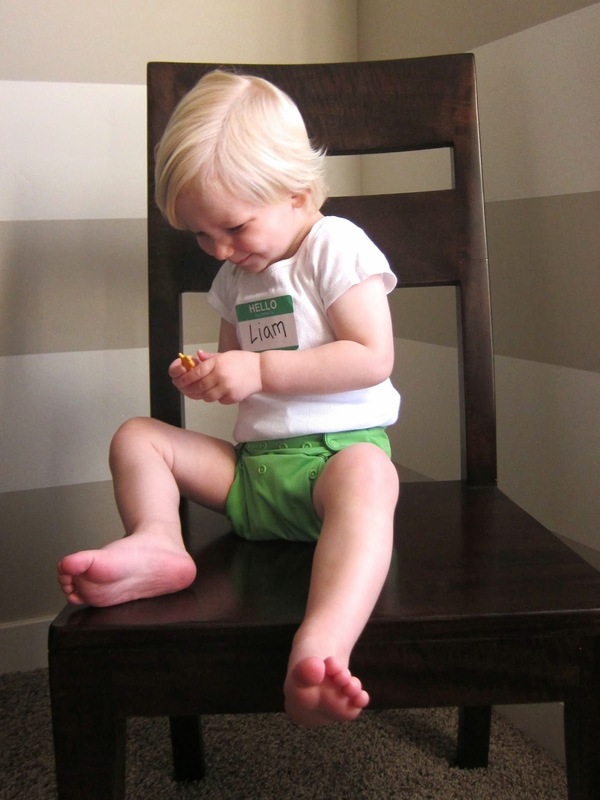 Then last year, we took another "name tag" picture on St. Patrick's Day. I decided to keep the tradition alive, because I'm a creature of habit and a sucker for comparison photos. 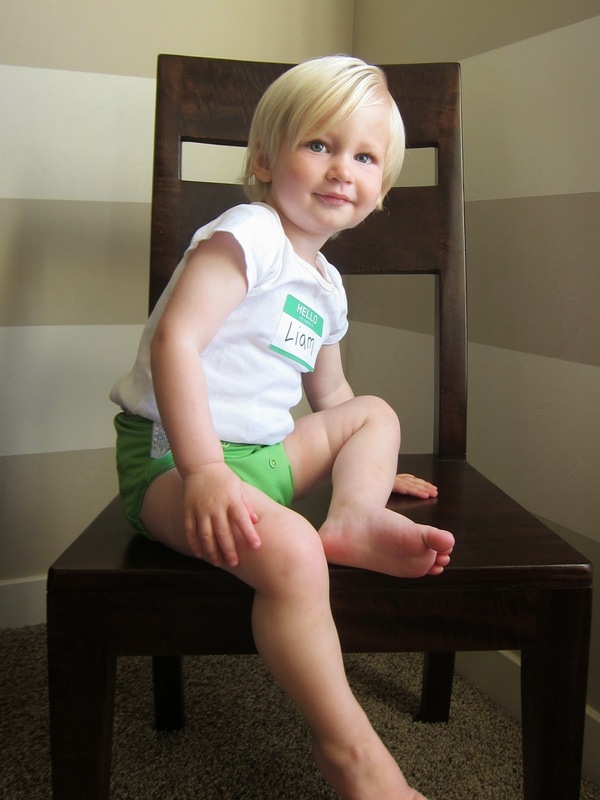 Liam quickly became a popular name recently, which we were completely unaware of when naming our baby boy. Because of this, I become ecstatic when I tell someone his name (usually full name) and they comment on how Irish it is! Yes, thank you for noticing! While hardly any Irish blood comes from my side of the family, Liam has plenty of it from the Keenan side. Sometimes, we can even sneak an Irish/Boston accent out of Grandpa Keenan when he gets into some good storytelling over a glass of wine or a couple fingers of whiskey! Happy St. Patrick's Day from our adorable little irishman at 22 weeks pregnant, 7 months, & 19 months! And a few of the outtakes because they were too cute not to share! So sweet, happy st. Patricks day to u guys!! Love the pictures !! 22 months pregnant ?? or 22 weeks ;) haha!!! Happy st. Patricks day !!!! Awe!! So sweet!! What a great way to announce his name! I absolutely LOVE this!!! What a clever idea! You have to continue this until he's like 30 and has his own kids. :) Love it! 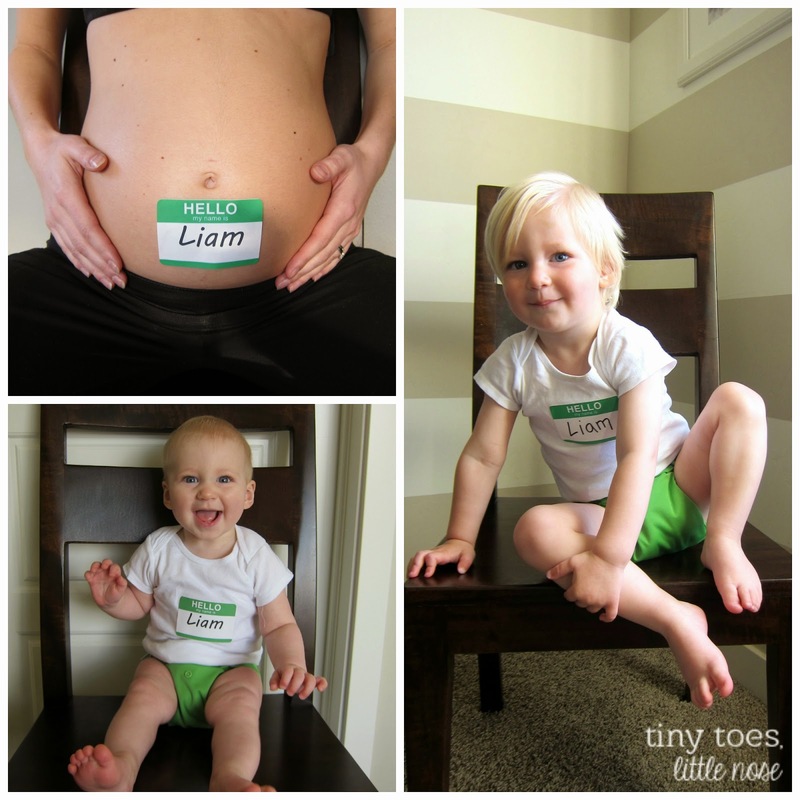 seriously such an adorable idea! What a sweet tradition! This photo series is such a great keepsake already!